In today’s podcast Keith Grabowski is joined by Tim Sauer, head coach at Jesup Community School (IA), in the “Your Call” series. 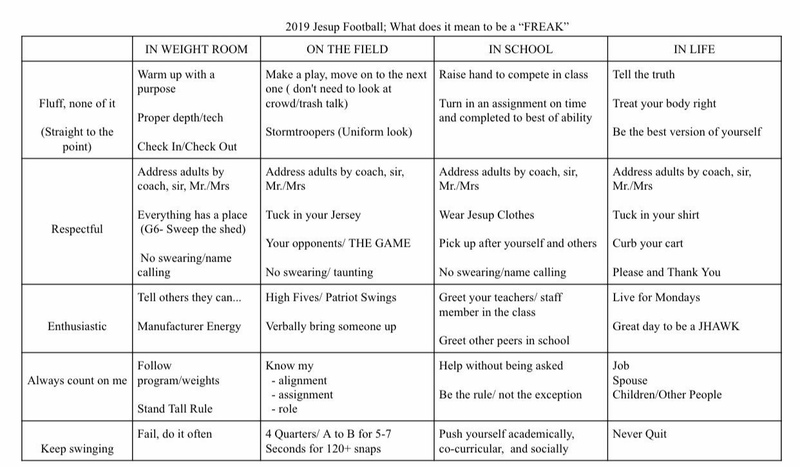 Coach Sauer introduces his F.R.E.A.K acronym that helps control the culture climate in his program. Grabowski and Coach Sauer discuss why it was made and how it is used in his program.